The environmental impact of poorly managing plastic waste has been in the headlines since the BBC’s Blue Planet II series was aired at the end of 2017. In January, Theresa May pledged to eliminate the UK’s plastic waste by 2042. Less than a week later and the EU ‘declared war on plastic waste’, announcing the intention to ensure that every piece of packaging on the continent is reusable or recyclable by 2030. Presently, there is an unprecedented negative feeling towards plastics. However, plastic will continue to be one of the most versatile and useful materials available. This versatility is down to the wide range of plastic types, as can be seen in any household. Plastic is present in food packaging, mobile phone casings, tables, chairs, and many other everyday items that would not exist unless made of plastic. Certainly, product designers need to give recyclability a higher priority and this change in attitude is required for all materials and not just for plastics. At present, plastic is the environmental villain. Effectively managing plastic waste is not a new problem for the UK. With the introduction of Material Reclamation Facilities (MRFs) in the 1990s, there was an abundance of segregated materials, for which there was no end market. These were stored or exported overseas, and there were reports of warehouses in Germany stocked full of unrecyclable waste materials. This resulted in changes in the EU definition of ‘waste’ that prevented the easy movement of secondary materials within Europe, but this did not address the main problem. The market for materials such as secondary plastics did not exist. Advances have been made and there are products being made out of recycled waste plastics (e.g. furniture) and even plastic roads. Technology has advanced, but the main problems remain. Complex recycling plants are now able to separate different types of plastic by colour and type, but the process is not perfect. To further complicate the problem, other non-related materials, such as metal and even building materials, contaminate the vast majority of waste plastic packaging. Most plastic packaging enters the recycling process as pre-sorted household waste. 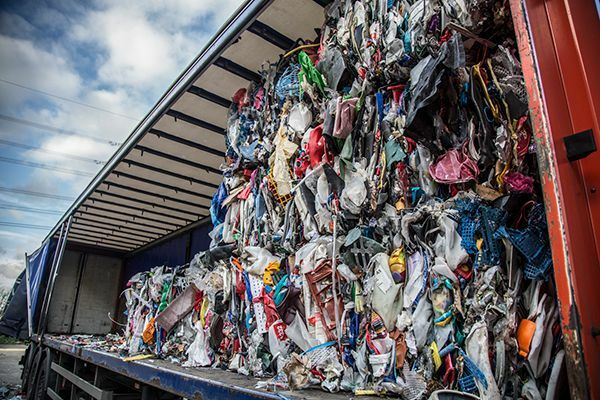 The specification of what materials are mixed in a single recycling bag depends on the recycling strategy of the local council and varies considerably across the UK and Europe. On arrival at a MRF, the collected materials are then separated into metal, plastic, cardboard, and any other materials defined within the local strategy. Separation of these materials is achieved using either technology or, more commonly, a combination of separation equipment and human pickers. This is a dirty, difficult, and unpopular environment in which to work. The ability to successfully separate the materials is compromised by the presence of other waste. These materials have been incorrectly added to recycling bags at the household or during collection and include used-nappies, food waste, paint tins, and other problematic materials. At the MRF, metal packaging (e.g. steel and aluminium beverage and food cans) is commonly recovered using Overband Magnets positioned over the main feed conveyor prior to the picking line. Other materials are manually handpicked and stored separately. Up until recently, the mix of plastic packaging could then be sent to a specialist UK plastic recycling plant or overseas to countries such as China. Since 2012, British companies have shipped more than 2.7m tonnes of plastic scrap to mainland China and Hong Kong. However, this only accounts for two-thirds of all the plastic waste exported from the UK. Plastic waste sent to China is, where possible, commonly hand-sorted into individual plastic types (i.e. removing plastic tops by hand), with all other added contamination removed manually. This involves a huge, low-paid workforce. Similar manually based recycling operations in Europe would be prohibitively costly with unacceptable working conditions. In December 2017, China announced that in early 2018 it will stop importing “foreign garbage” stating that such waste materials was commonly contaminated with “large amounts of dirty waste or even hazardous wastes”. Specialist plastic packaging recycling plants in the UK have been under intense financial pressure for many years. There have been calls for better legislation and Government support, but too many plastic recycling plants open and are then forced to close due to being financial unviable. A typical plastic recycling operation needs a complex system of separation equipment. The plant also needs to be able to adapt to huge variations in the nature of the delivered waste plastic. There are also strict environmental regulations on storing and handling waste plastic. Such plants are expensive to install and operate. Early in the process, ferrous and non-ferrous metal contamination is removed from the waste plastic using Magnetic Separators and Eddy Current Separators. Initially, after the plastic is released from the compacted bale, the waste is fed into a primary shredder. To protect the shredder from damage, an Overband Magnet is suspended across the feed conveyor and removes large ferrous metal. At this stage, the type of ferrous metal contamination found in the plastic is diverse and often surprising. It can include metal packaging miss-sorted at the MRF, heavy lumps of iron that increase the weight of the plastic bale, and metal picked up during transportation. 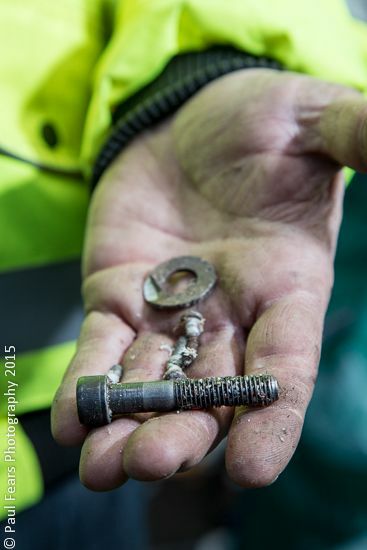 There have even been reports of car engine blocks. Reasonably sized items of cast iron entering the shredder will cause significant and costly damage and result in the plant being closed until a repair is possible. After the primary shredder, the waste plastic has been reduced in size and many contaminants liberated. This shredded waste plastic is fed onto another Magnetic Separator, commonly a Drum Magnet or Pulley Magnet, to remove liberated smaller ferrous metals. The type of ferrous metal separated at this stage includes steel spanners, nuts, bolts, screws, fine metal wires, springs, iron shards, fine ferrous dust, and chunks of stainless steel. Most of the ferrous metal was not part of the original plastic packaging and has been introduced between disposal and processing. The cleansed plastic waste then passes over an Eddy Current Separator to remove non-ferrous metals. Commonly separated metals include aluminium beverage cans, foils, tubes, and even window frames. The high level of metal contamination highlights the challenges facing waste plastic processors. It was one of many contaminants, not present in the original plastic packaging, that have to be removed. Before UK and EU Government officials make recycling pledges to pacify environmentalists, they need to consider the practicalities and difficulties faced when processing waste plastic packaging. Contamination will always be present, and is one of the reasons for exporting this difficult waste material overseas. Reducing such contamination will make it easier to recycle waste plastic, but there is no clear strategy to achieve this goal at present.